When purchasing new or replacement windows, the windows themselves tend to take up the bulk of one's thought and planning. However, window sills are a small but important feature that plays a greater role than imagined. Window sills offer more than just their appearance or a place for potted plants. They contribute to a window's energy efficiency, air-tightness, and moisture control. 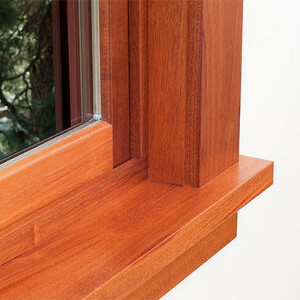 Sills are part of the window trim, which also includes the head casing, side jambs, and the apron. Each one plays helps keep the elements out as well as the window structurally sound. The main function of interior sills is practical. They are primarily used for storage and display. Potted plants, photos, and decorations are the most common. Therefore, interior sills are installed to be completely level, putting special emphasis on stability in order to create a safe place to put decorations. Since weather protection is unnecessary inside, the materials are chosen based more on appearance than toughness. UPVC variants can be customised using stone or wood-grain pattern decorative foils. Low maintenance requirements are common for all these materials. In contrast to interior sills, exterior window boards are not commonly used for decoration - for obvious reasons. Instead, they provide a measure of additional protection that should not be underestimated. This is most important when it comes to rainwater and moisture. External window sills should never be installed flat, and instead at an angle to help direct water away from the window itself as well as the facade. 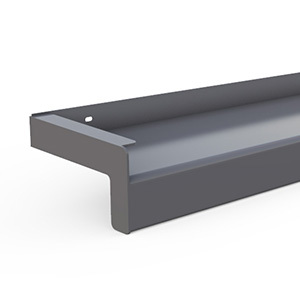 An external sill should always be installed at an angle of about five degrees. This ensures that the water does not drain towards the window frame. Covering a window reveal with a board reliably protects the outside appearance of the house facade as well as the structural integrity of the building itself, by forcing rainwater to simply drip down the sill instead of running down the wall. They also usually feature a drip edge that keeps the draining water away from the frames and the facade of the house. However, it is also important to remember that external sills should be as weather-proof as possible in order to provide long-term protection. 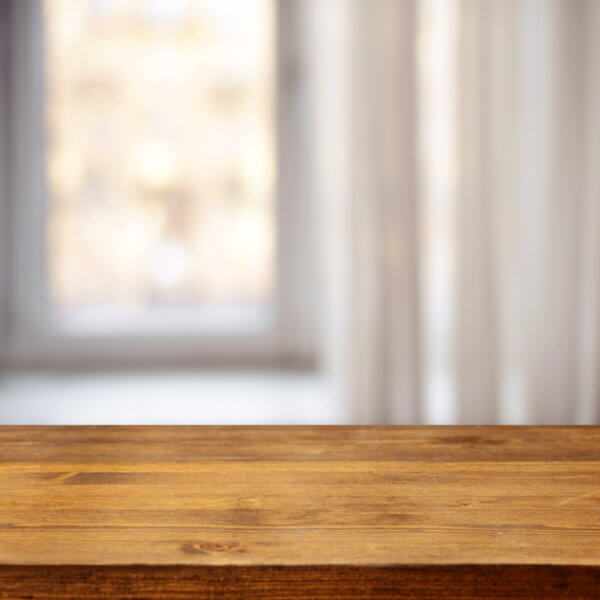 Thus, modern boards installed on the outside are typically made of aluminium or uPVC, while a popular choice for the internal ones is usually timber, as it is meant to create a friendly ambiance inside your home. Stone variants (such as granite, marble or natural stone) are also possible, of course. In comparison, however, they prove to be somewhat more expensive than other materials, not only in regards to the initial purchase but also in terms of maintenance. Thermal insulation is not as big of a concern with a sill as it is with a window. Of course, sills should always be installed in a manner that prevents them from exerting a negative influence on the insulation properties of windows and walls themselves. Thanks to state-of-the-art installation methods, this requirement usually does not pose any problems, however. 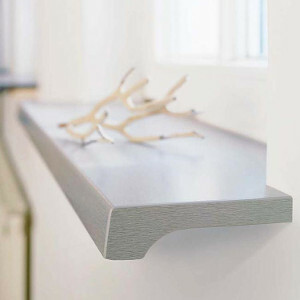 Perhaps the most important element of any window sill is its connecting profile. This is the link between window board and frame, ensuring that both elements are securely connected. At the same time, it physically separates them in a way that prevents heat transfer between the sill and window. Additionally, connecting profiles can seal the gap between sill and window, preventing water from seeping in. Does Window Sills Help with Noise Reduction? In contrast to the windows themselves, sills have only a limited effect on reducing outside noise. This comes into play during storms when the driving rain beats down on the window sill creating a drumming sound. Adding noise deadening strips beneath the sill can reduce this significantly. Just like any other construction element, sills may expand or shrink slightly when under the influence of significant changes in temperature. Aluminium models in particular tend to expand when temperatures are high, while shrinkage may occur at lower temperatures. On average, temperature changes of 50°C can cause a sill to expand or contract about 1.2 mm per metre length. 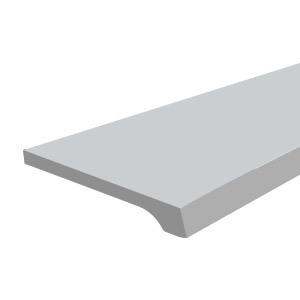 In order to take the possible expansion of a sill into account early on, it is recommended to purchase a slightly smaller sill than necessary to allow for an expansion joint to be added later. Therefore, a window sill made from a material that is prone to changes in length due to temperature, should not be attached to the surrounding plaster. Instead, an expansion joint of up to 1 cm in width should be created between sill and reveal. This joint can then be sealed using highly flexible sealant materials such as silicone. Preparing the installation appropriately averts the risk of cracks forming in the masonry.